Security guards contracted by the Philippine Economic Zone Authority (PEZA) joined surprise attacks on a picketline at the Cavite Economic Zone that resulted in injuries to two women workers. Maricar Orque and Magdalena Peña, both workers of Lakepower Converter Inc., a Taiwanese-owned electronics company, were hurt in the commotion that followed the dismantling of the picketline around 11:30 pm last night. The workers union and the group Partido Manggagawa (PM) slammed the PEZA for conniving with management in four separate instances of violent harassment of the strike. “Company guards, personnel of the Jantro Security Agency hired by PEZA and other men wearing ski masks but clad in PEZA police uniforms repeatedly tore down placards and makeshift tents at the picketline last night and early morning. They first attacked at 7:00 pm, again at 11:30 pm, once more at 1:00 am and finally at 5:00 am. The men arrived in motorcycles and bearing side arms. Two of the motorcycles used had plate numbers DA 21752 and DC 86314,” explained Mercy Tanginan, president of the Samahan ng Manggagawa sa Lakepower Converter Inc. 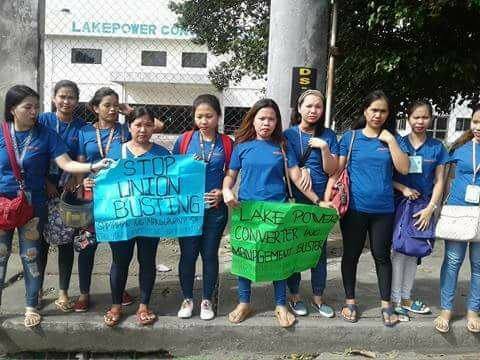 The strike at Lakepower started at 3:00 pm yesterday after mediation meetings convened by the National Conciliation and Mediation Board collapsed as management refused workers demands that the termination and suspension of union officers and members be stopped. “Workers are unionizing to improve their working conditions but are being met by extreme interference from capitalists unwilling to share the fruits of production,” asserted Magtubo. Speaking of peza zone, there is a peza zone in Pampanga with 22 one-hectare lots (for a total of 38 locators) that may generate up to 1,500 new jobs, contributing to the ever-growing economy of Pampanga as well as that of Central Luzon.